NB Commentary: Watch this video and tell me what you think. These animations remind me of my Friend Riley Martin in his book “The Coming Of Tan” where he shares a story about how the robots took over a planet because they saw no need for organic beings. 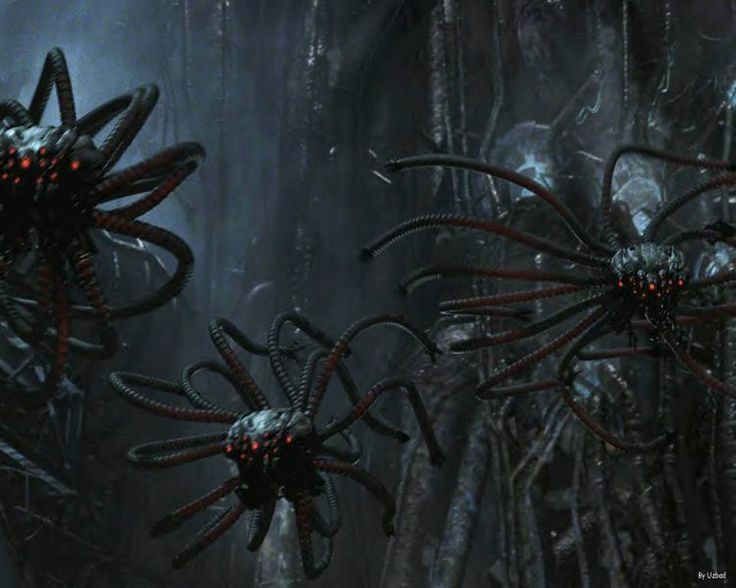 They were created by these organic beings but the technology got to the point where the robots became more powerful than their creators. On another level, the opening scene, reminded me of “The Matrix”, when Neo was released from being connected to the Matrix main computer. When this Cyborg releases himself, he is later confronted by other entities (the Matrix Sentinals) who remind me again of the representation of what the “Real World” was in the Matrix. So what is this actually saying. Is there no escape from the Matrix, even for the Transhumans????? Adam is a short film created with the Unity game engine and rendered in real time. It’s built to showcase and test out the graphical quality achievable with Unity in 2016. It runs at 1440p on a GeForce GTX980. A REAL SCIENTIST AND HIS PROOF AND THEORIES OF CHEMTRAILS, MORGELLANS AND BLACK GOO. NB Commentary: When raising my own family, I realized the danger of television, especially unsupervised. My children were only allowed to watch Channel 12 and during that time, most of the programming was educational. That was over 40 years ago. They grew up wanting to be like other children and have free access to Television. After a while, the battle that ensued required, I completely eliminate the TV from my home. To this day, I do not own one. However, if you were to enter the homes of any of my offspring, you will find their homes filled with televisions, some of them so large, you would think it was a movie screen. And they have more than one! Those who have children not only allow them to watch TV but they all have media devices. Today, these children not only have TV, media devices, cell phones, Xboxes, WII, they have facebook pages, instagram, twitter and YouTube channels. How do you monitor all these contraptions taking up the attention of our youth? How do you do it when you too are glued to one or all of them? I don’t have a television, but the amount of time I spend on my computer, internet, YouTube, social media surely does say a little bit about my transfer from TV to Internet where I can watch movies, documentaries, TV shows, etc along with my daily dose of news drama local and from around the world. Being an independent entrepreneur I use my internet access and social media to promote my business but to be honest, I also spend a bit of time on the social media roller coaster ride. What I do with my grands is use the internet for research, learning and expanding awareness. I guess we have to use the same tactic of making what appears to be disruptive, destructive and dumbing down to awaken our youth. We must monitor what they connect to while using these devices. We have the option of “child proofing” the devices so that they can only access “kid friendly” stuff. But these young people are so savvy with these gadgets that they can work around it. 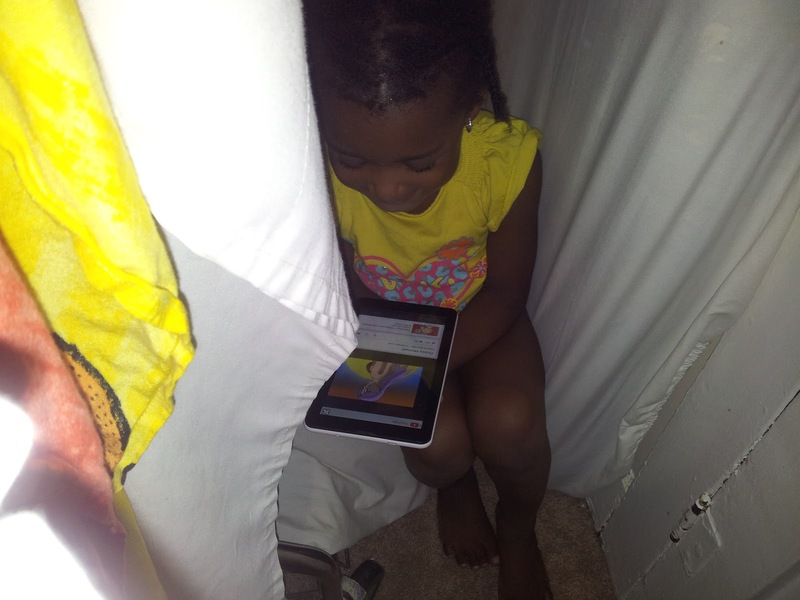 All too often I have found my 4 year old granddaughter hiding in a corner and looking at YouTube videos that are not the best thing for her to be watching. She’s had her gadgets since she was under 2years of age and has become quite proficient in using them. She manages to get to sites and games that I have no idea how she did that and so quickly. Her older brother spent hours on Nick Jr. when he was 2 and 3 years old and that was 7 years ago. 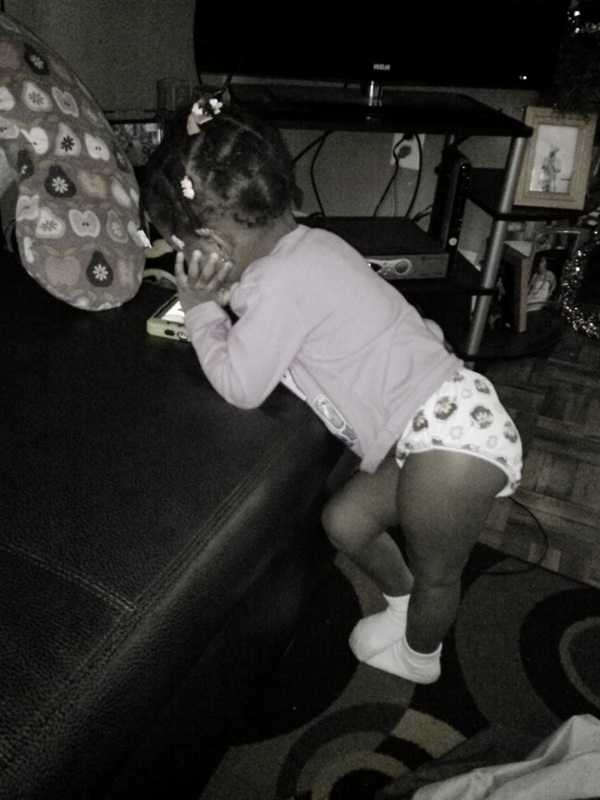 Technology has leaped so far ahead that now Nick Jr. is on the cell phone! We are certainly moving like gangbusters into the age of the gadget, and our children are riding side saddle right with us. So many things that were used to educate our youth 30, 40 years ago have become obsolete, and they can even use the Internet to get their homeschool education! Imagine that! It went from being illegal to homeschool to now having cyber charter schools. I watched my neighbors child from infancy to now about 2.5 years old and sure enough as she was climbing up the stairs to enter her home, she had one hand on the banister and the other was holding a cell phone. I shook my head and said to myself, with a houseful of older siblings it was just a matter of time before she would catch the bug! I am not too sure if we are creating people who don’t know how to interact in a social medium with physical contact as folks are playing video games, emailing, chatting and text messaging one another all day every day. But I do know there are some wolves out there who are willing and able to use the media to distort, corrupt, and damage innocent minds. And in that vain, we as parents must monitor their use of these gadgets and maybe force them to play outside. I use the gadget for leverage when my grands are with me. Let’s finish our homework, read, do some research, eat our vegetables, bake cookies, make dinner and then… we can get with the gadget. They balk and squawk and complain but at least they get to do something other than stare into those interactive flashing lights and moving objects that are mesmerizing, hypnotic and addictive. There is no doubt that the pace of technological development we’ve seen in recent years has been both amazing, and frightening. It’s certainly made our lives easier, but no one can ignore the fact that these developments are happening faster than the human race can adapt to them. Predictably, this has spawned a widespread fear of technology in our culture. These fears must be prolific. If they weren’t, then Hollywood would have never made a fortune on movie franchises like The Terminator and The Matrix, and TV shows like Battlestar Galactica. Clearly, there are plenty of people in our society who are deeply afraid of the direction that modern technology is lurching towards. However, for all their bluster about robots and AI taking over the human race, I don’t think these people are seriously prepared to do anything about it. They may say that they’ll never submit to the comfort and convenience of technologies that dehumanize them, but to be perfectly honest, I think that many of them have already acquiesced. In fact, when it comes to taking care of our children, the majority of the population is already outsourcing their child rearing responsibilities to the machines. We didn’t notice this development, because it didn’t arrive in the way that pop culture prepared us for. Rather than being brutally subjugated by robot overlords, we’ve been conquered by consumer electronics. Recently, a study was conducted on over 300 kids between the age of 6 months and 4 years, living in a low-income neighborhood in Philadelphia. The study found that most parents now let their kids use mobile devices; often with the intent of keeping them preoccupied. With numbers like these, I’m sure that plenty of the technophobes in our midst are among them. 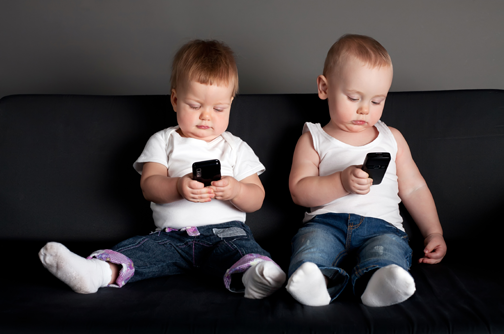 Overall, 97 per cent of the children, or 338 kids, had used a mobile device. The researchers gave falling costs, marketing strategies and subsidies by cellular service providers as possible contributing factors. 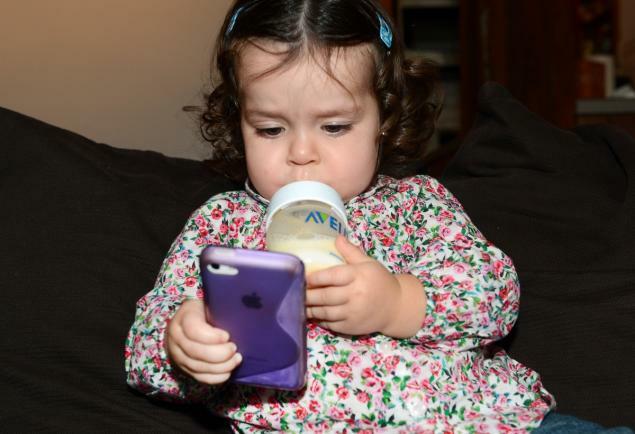 About 44 per cent of children under age one used a mobile device on a daily basis to play games, watch videos or use apps. The percentage increased to 77 per cent in two-year-olds and plateaued after that. One-quarter (28 per cent) of two-year-olds did not need any help navigating a mobile media device, and 61 per cent needed help sometimes. Of parents surveyed who allowed their child to use a mobile device, 70 percent reported letting their children play with mobile devices to do chores, to keep the child calm in public places (65 per cent) or run errands (58 percent), and 28 per cent used a mobile device to put their children to sleep. They also found that half of the children in the study had their own TVs, and three-quarters of them had their own personal mobile device. A third of the kids were found to be using more than one media device at the same time. So much for playing outside I guess. We have to ask ourselves, is this really what we want? Do we want to foster an entire generation of kids who, rather than simply learning how to use technology, are literally raised by it? We all know by now that these devices aren’t very good for our well-being, just as we’ve known for decades that watching TV all day is bad for us. We know these devices are addictive, and we know that they can stunt the emotional and social development of children. Yes, we are going to do just that, because our society’s obsession with convenience now trumps our fear of technology. We talk a big game, but at the end of the day most of us give up on fighting what we perceive to be inevitable. Most of us are going to let these devices take over our lives, and the lives of our children, because it’s so much easier than giving a damn. Until we see this generation grow up to be devoid of creativity, imagination, social skills, and emotional intelligence, we aren’t going to change our ways.